Mobile World Congress 2013: Unleash The Fox! Back To The Nineties! In Barcelona, the hunt for the next killer app after Lionel Messi has started again, but for the moment, Mobile World Congress 2013 delivers at the hardware, OS, MNO levels. Vintage stuff. operators? check! This neither-Apple-nor-Google-nor-Microsoft OS comes as a blessing for MNOs that are desperately trying to recover their 2G mojo (see "joyn or die? forget about KakaoTalk and Anipang?"). 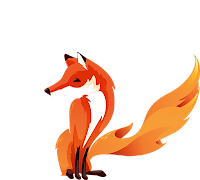 Telefonica sums best the industry's mood by saluting "a major step to bring balance back to the telco sector", and America Movil is "committed to launch Firefox OS phones in Mexico and all possible markets during 2013". Completing the 17 member list are China Unicom, Deutsche Telekom, Etisalat, Hutchison Three Group, KDDI, KT, MegaFon, Qtel, SingTel, Smart, Sprint, Telecom Italia Group, Telenor, TMN, and VimpelCom. Google must be preparing its own announcements, probably further down value chains and value galaxies (e.g. a music streaming service, according to the Financial Times). And meanwhile, execs reassert that virtual reality is the future of mobile... the occasion to re-mention Ingress game platforms, or augmented-reality-enabled eyewear Google Glass(es). 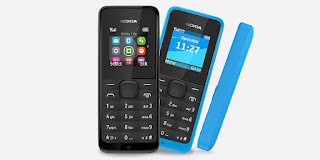 Just like Firefox OS, the Nokia 105 is meant for the masses: a cheap candybar handset with a late nineties look, and a tempting price tag (EUR 15). It's resistant, it consumes little power, and it would sound smart as a fox if Chinese manufacturers were not able to deliver the same kind of object at an even cheaper price. Nokia seems to be stuck in the 1990s, at a time when global marketshare in volumes was all that mattered. They'll get less press coverage for their Lumia 520 on Windows 8, but maybe that was the aim of the game: avoiding the comparison with Samsung on image. Will the Samsung Galaxy S4 and Samsung Galaxy Note 3 live up to the hype? Until we get the answer, the Suwon-based giant keeps leveraging its subbrand: after Samsung Galaxy Camera, here's a Samsung Galaxy Note 8 tablet (Q2 2013), a supposed iPad mini killer. I can't wait to drive my Renault Samsung Galaxy LTE-Wibro Hybrid, to e-mail e-icecubes from my Samsung Galaxy Fridge, or to airkies these fancy apartment plans to my Samsung Galaxy Augmented Reality Printer. Augmented reality sounds like material for pre-Lehman bubbles, something from the early Noughties. If you want something really ninetiesish, dig MasterCard's marketplace approach: MasterPass, a Visa's V.me-too. If you followed the turn-of-the-millenium sit(ele)com featuring the trio Klaus Esser - Chris Ghent - Jean-Marie Messier, plus Li Ka-shing as guest star, you already know what happened to each party. SBC would resurrect Ma Bell and become the new and improved ATandT. British Telecom would remain a serious player and drop its MNO activities, but still enjoy its moments of fun (BT just purchased ESPN's operations in UK and Ireland). Mannesmann would bite the forbidden fruit Orange before being wolfed down by Vodafone. CGE would become Vivendi, spin off its formerly-core-but-still-cash-cow utility business, become Vivendi Universal, then Vivendi again. Vodafone would remain Vodafone, only bigger. Today, Vivendi is getting rid of its formerly-core-but-still-cash-cow telecom operations in France (SFR, eyed by - among others - Ypso/Cinven/Carlyle), Brazil (GVT), and Morocco (Maroc Telecom). Canal+ shall become the new "core utility", the other gems being Universal Music Group, and Activision Blizzard, both leaders in sectors subject to profound changes. Is virtual reality truly the future of mobile? 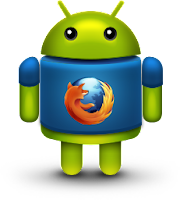 * "I see through you: City of Sin, Screens, and Smartpagers"
** see "Mozilla Announces Global Expansion for Firefox OS"